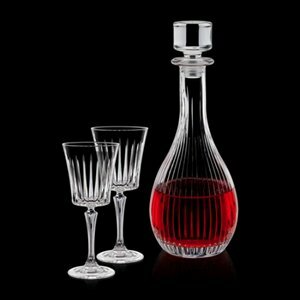 Stunning Free Crystal Decanter set. . 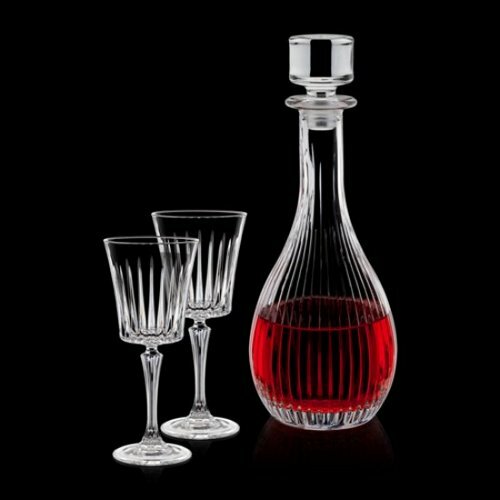 Elegant and contemporary design with deep straight vertical cuts. . Comes with 2 beautiful matching wine glasses. . Additional matching pieces are available Setup Charges apply.